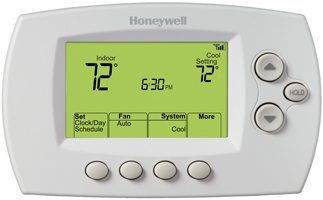 Programmable Thermostat allows homeowners to remotely manage their home’s temperature and save energy by reducing energy consumption. Smart Response Technology learns your heating and cooling system to deliver the right temperature when you want it. It can easily integrate with other Z-Wave enabled home automation devises. Homeowners can enjoy the benefits of the Z-Wave technology while trusting the comfort control and quality.